The last signed copies, now designated as rare, can be ordered here at Radius Books. *Limited edition with signed print: Smoke Break, Camp America; Prayer Rug with Arrow to Mecca; or Fidel Bobblehead. A vivid and disorienting glimpse into the U.S. 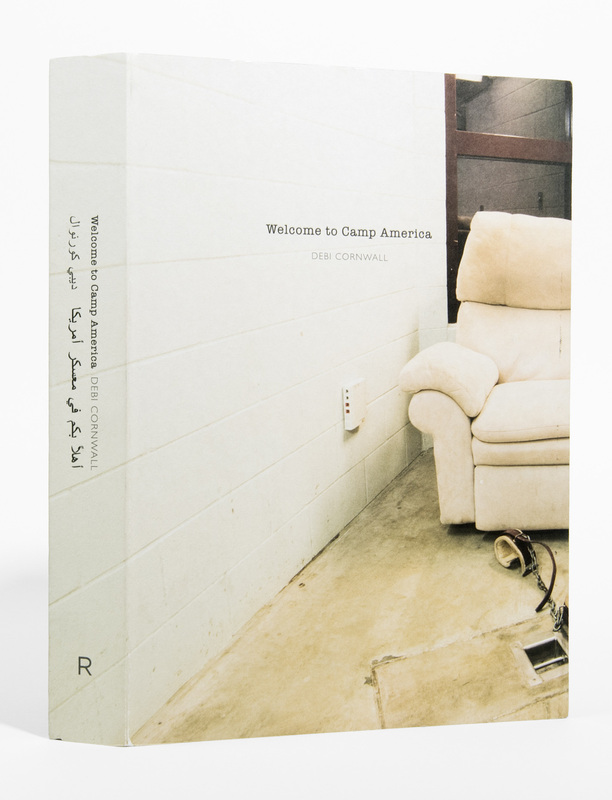 Naval Station in Guantánamo Bay, Cuba and its global diaspora of released men, through photographs, declassified archival material, and first-person texts. Essays by Moazzam Begg, Fred Ritchin, and Debi Cornwall. Hardcover, 7 x 9.5 in., unique construction, 160 pages in English/Arabic, 70 color images including 14 inserts. 2018 PDN Annual Publisher's Choice Award Winner, Alice Award shortlist, Lucie First Photo Book Prize finalist, ICP Infinity Award nominee, Kraszna-Krausz Foundation Book Award (U.K.) longlist, 2017 Paris Photo-Aperture First PhotoBook Award and les Rencontres d'Arles Photo-Text Book Award shortlists. Named one of 2017's ten best photo books in New York Times Magazine by Teju Cole, Mother Jones, 1000 Words, and Smithsonian Magazine. Reviewed in Art In America Magazine, the Guardian, European Photography Magazine, Hyperallergic, Huck, National Geographic, Der Spiegel, Smithsonian, British Journal of Photography, Mother Jones, Bookforum, Photo-Eye, GUP, Lensculture, Zeke, The Intercept, & New York Times Lens. Supported by the Vital Projects Fund at Proteus, Speranza Foundation, Violet Jabara Charitable Trust, David Rockefeller Fund, Elizabeth Firestone Graham Foundation, Puffin Foundation, Pollination Project, NYFA Fiscal Sponsorship, & the Lannan Foundation.